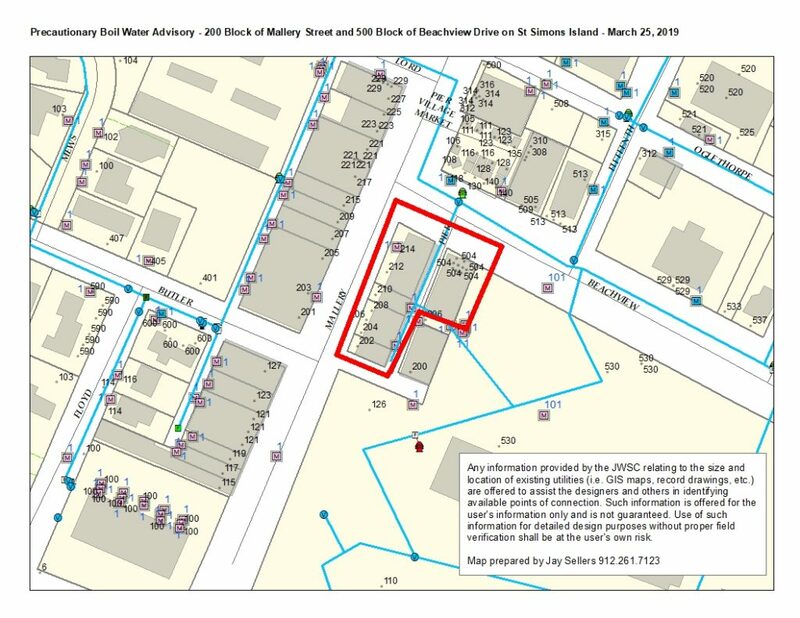 The St. Simons Island water system lost pressure in the area serving the 200 block of Mallery Street and 500 block on Beachview Drive on Monday, March 25, 2019 due to a private utility contractor digging into a 2″ galvanized steel water main. BGJWSC staff is onsite now restoring service. Once service has been restored, BGJWSC lab personnel will collect water samples for testing. This testing, which takes between 18 and 24 hours, should be completed the afternoon of Tuesday, March 26, at which time an all-clear message will be posted. This entry was posted in Boil Water Advisory on March 25, 2019 by Jay Sellers.